Barbara E. Friesner, author of The Ultimate Caregiver's Survival Guide, is an expert on issues affecting Seniors and their families. Barbara has been featured on NY1 TV's "Focus on Seniors", "Coping With Caregiving" and on radio shows across the country. In addition to her FREE monthly newsletter, Barbara is the Eldercare Expert and writes a monthly column for the National Association of Baby Boomer Women. In addition, Barbara has been quoted in newspapers and magazines throughout the US. As a Generational Coach and professional speaker and seminar and workshop leader, Barbara has collaborated with hundreds of family members, professionals with Senior clients, and employees of Assisted Living communities to help them successfully build relationships and address critical elder care issues. As an adjunct professor at Cornell University, Barbara created and taught "Seniors Housing Management" at the School of Hotel Administration. 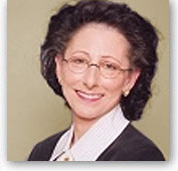 Prior to starting AgeWiseLiving, Barbara was the Director of Education & Development for Loews Corporation and Dean of Loews University. She received her Master of Business Administration from Boston University.